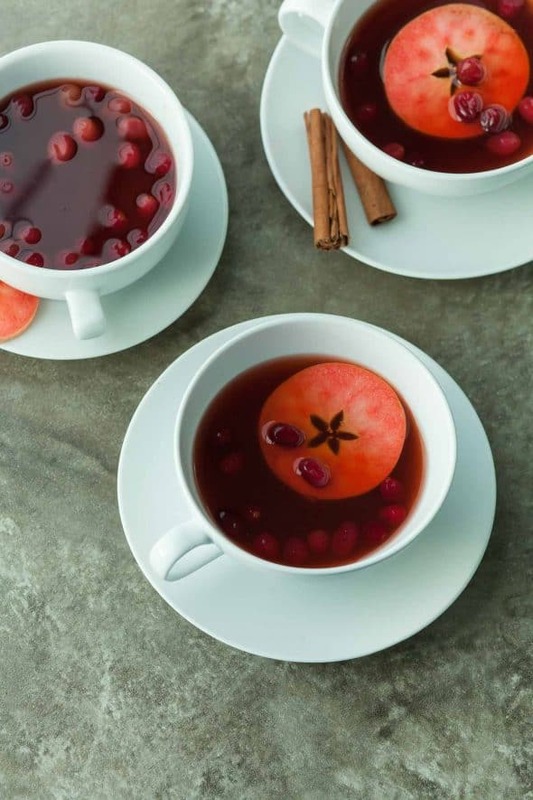 Curl up with a cozy cup of cranberry apple cider steeped with warming chai spices. 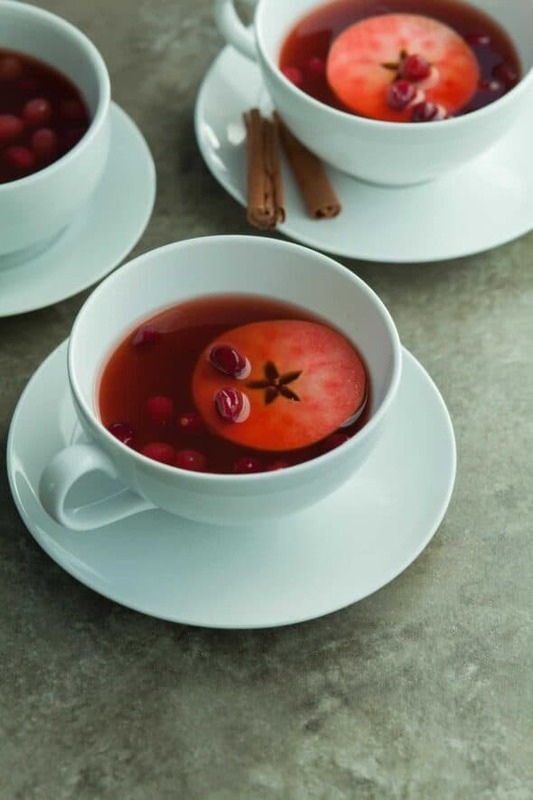 A comforting cup of mulled cider is a must-have this time of year, not only does the welcoming aroma fill the air, but its spicy-sweetness warms you from the inside out. I like to make a batch whenever the temperatures start to dip and I’m the mood for something cozy and comfortable to sip on. The cozy feeling starts as soon as the pan hits stove, its enticing scent wafting through the house. 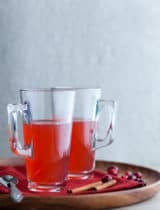 This particular cider is one of my favorites to make around the holidays, with its festive red hue and warming spices, it’s like the best of the holidays in a cup. 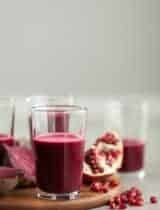 It’s a chai spiced cranberry apple cider that’s sweet and tart and spicy all at once. 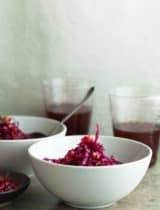 Wonderfully warming chai spices are a nice compliment to the hot apple cider while cranberry and pomegranate juice add a bit of lively color and tartness for an irresistibly tasty winter warmer that’ perfect for cold nights in or holiday gatherings. While most traditional mulled ciders require hours of slow simmering, this one is ready in a fraction of the time thanks to a couple of chai tea bags. The tea bags infuse the cider with loads of flavor in a matter of minutes. I like to use caffeine-free rooibos chai tea for its natural reddish hue, as well as to keep the cider kid-friendly (which is always nice when you have family and friends over with their little ones), and late-night, bed-time sipping friendly. All you need is a quick simmer and steep before pouring yourself a cup. 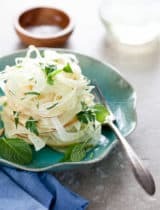 If you do have the time to cook it low and slow, you can also throw everything in the slow-cooker, which is great for keeping a batch warm and at the ready when guests arrive. 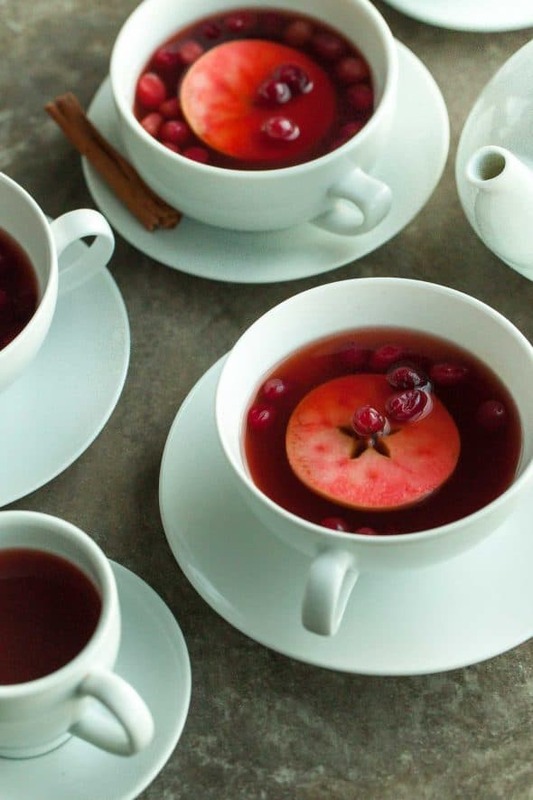 So grab yourself a cozy blanket and curl up with a cup of hot cranberry cider this season. 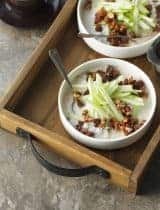 In a large saucepan combine the water, apple cider, cranberry juice, pomegranate juice, maple syrup, ginger, vanilla bean, cinnamon stick and cranberries. 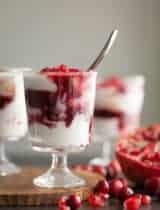 Bring to a gentle simmer, lower heat and keep warm at a bare simmer for 10 minutes. Add tea bags, turn off heat, cover and let steep another 5 minutes. Discard tea bags, ginger, vanilla bean and cinnamon stick. 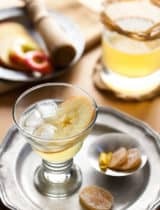 Serve warm, garnish with apple slices. 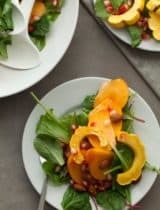 Store leftovers in the fridge and re-heat as needed. Wow, this sounds delicious! Perfect for the holidays. Can't wait to try it!